Martin Charnin famously wrote, “You’re never fully dressed without a smile,” which may explain why we invest so much of our time and money into maintaining our teeth. We scrub them, rinse them, and set them straight, but no matter how well we maintain them, they gradually darken and discolor. It is inevitable the residue left behind from years of eating and drinking accumulates on our teeth, gradually darkening them. Simply brushing them will not do the trick, since the grime slowly leeches into the porous surface of the teeth. That is where teeth whitening comes in. 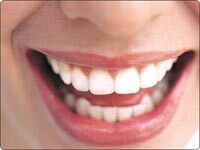 Hopefully, this article, like any of the Tooth Care Guides available on the Internet, will help you to decide how best to go about keeping your pearly whites both pearly and white. There are three methods of whitening teeth, though they all operate on a common premise clearing out the debris embedded in our teeth. This is accomplished through the use of carbamide peroxide, a chemical agent that oxidizes in the mouth into hydrogen peroxide. That’s right, we clean our teeth with the same infernal substance our mothers used to daub into our childhood scrapes and bruises. With respect to whitening, however, it does its job well, as long as due care is taken. Obviously, the most effective option is to make an appointment with someone who does these sorts of things for a living, namely your dentist. He or she will first cover your gums with a custom-fit dental dam before applying several successive coats of carbamide peroxide gel to your teeth. The procedure takes very little time a single hour-long visit should suffice, especially if the gel is cured with a blue light. Overall, the procedure is effective and well established. An immediate downside is cost at price tags ranging from 500 to 1000, this may not fall within everyone’s budget, especially considering that most insurance plans will not cover what is ostensibly a cosmetic procedure. If you lack the time, patience, or money to make an appointment with the dentist, there are plenty of products on the market for use at home. Some companies manufacture and ship custom trays, which are designed to fit your teeth. You can fill them with gel and wear them for a few minutes everyday on your own time, for a fraction of the cost of visiting the dentist (about 100). Over-the-counter whitening products are generally inferior to those custom-fitted to your teeth, and you will know the difference if you have ever had the pleasure of owning a custom suit. Over-the-counter products are designed to fit everyone, but in doing so, they can end up missing certain parts of your teeth, leaving conspicuous dull spots. In addition, a less potent gel is used to lower the risk of damage to teeth and gums, though this weakens the effect of whitening. At anywhere from 15-50 a pop, however, they are certainly the most accessible method. Are they worth it? That is for you to decide. Whatever approach you take to teeth whitening, always be sure to discuss the pros and cons with your dentist, and do not forget to show off your new smile!